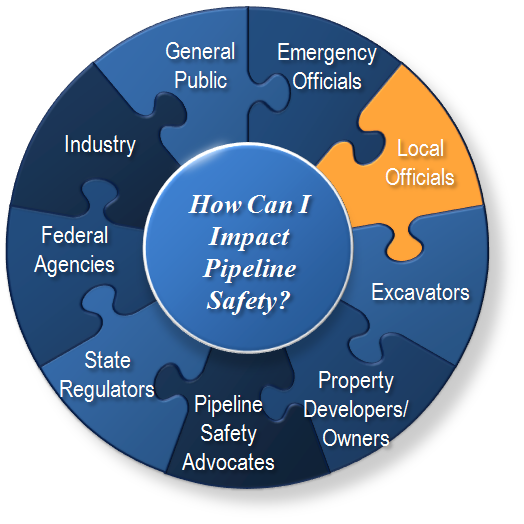 U.S. Transportation Secretary Elaine L. Chao Announces $90 Million to Advance Pipeline and Hazardous Materials Safety Efforts Across the Nation. 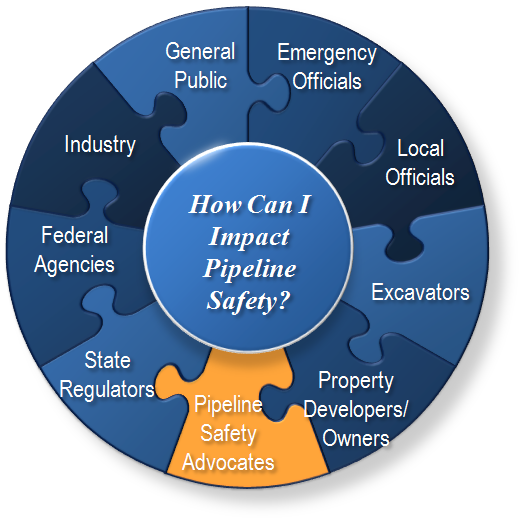 In August 2017 PHMSA submitted to Congress the report titled "A Study on Improving Damage Prevention Technology." 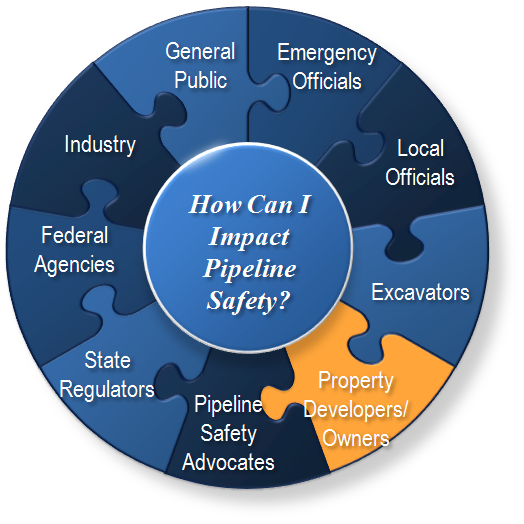 Also see Appendix A to the Report, regarding PHMSA-Supported Research and Development Projects and its Competitive Academic Agreement Program. 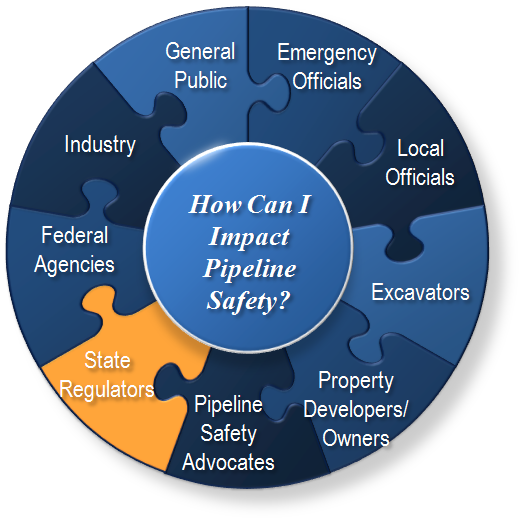 In 2016 PHMSA released the Public Awareness Program Working Group (PAPWG) SWOT Report of Key Findings to Support Improving Public Awareness. 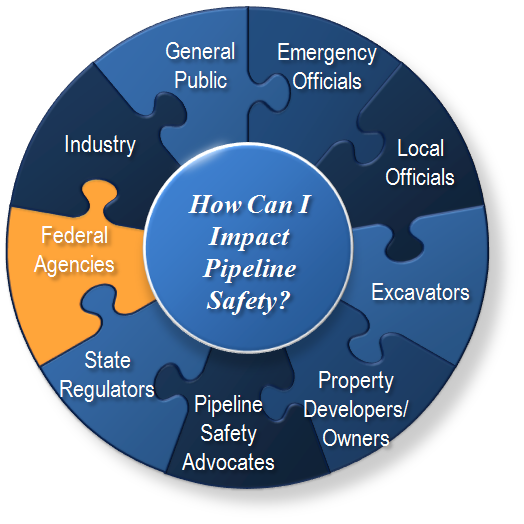 The U.S. Department of Transportation's Pipeline and Hazardous Materials Safety Administration (PHMSA) Office of Pipeline Safety (OPS) is the federal safety authority for ensuring the safe, reliable, and environmentally sound operations of our nation's pipeline transportation system. 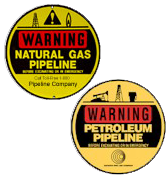 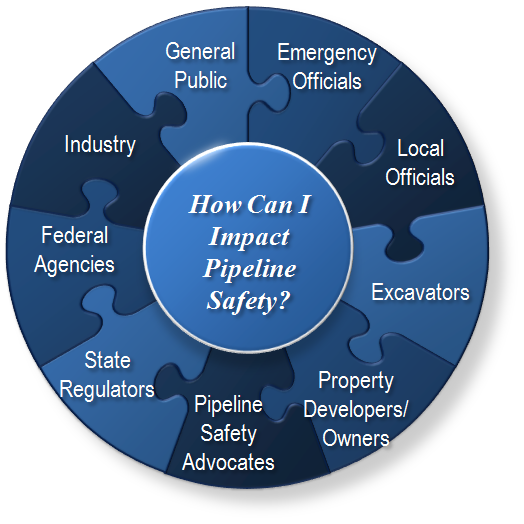 An important component of OPS's mission is to promote pipeline safety communication and education. 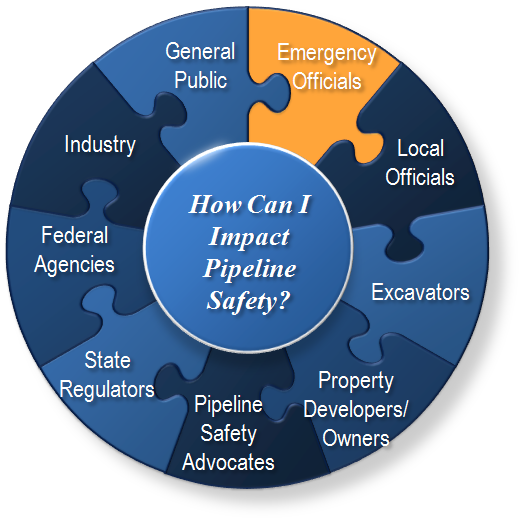 Pipeline safety is a responsibility shared by all stakeholders. 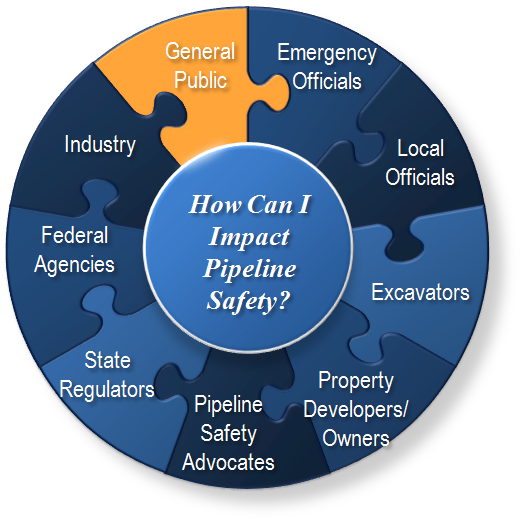 Community and pipeline safety is improved through active stakeholder participation, especially with regard to public awareness, damage prevention, risk-informed land use planning, and emergency management efforts. 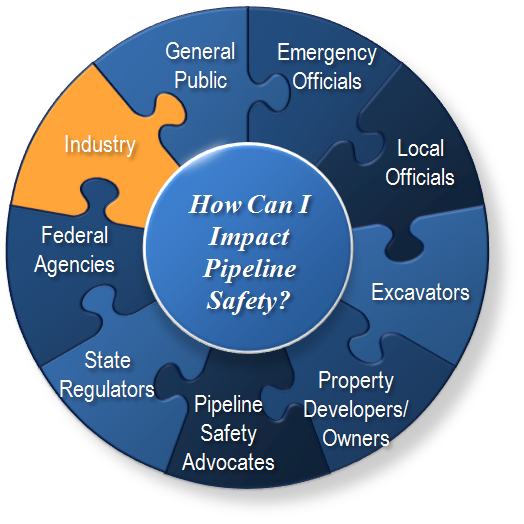 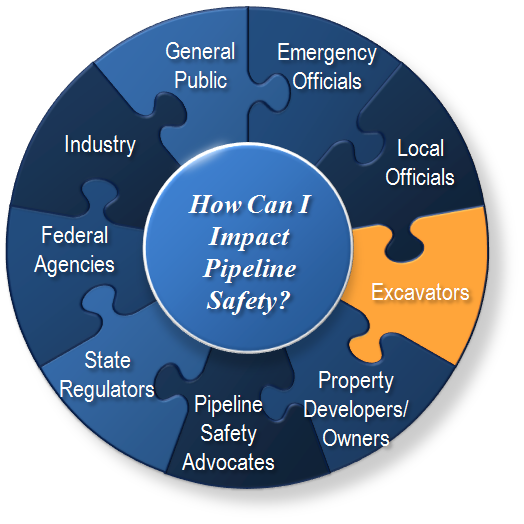 Click on a puzzle piece below to learn how you can impact pipeline safety.